The National Park Service (if this incident happened before the recent road work) or the contractor for the recent road work at Gettysburg have received a nomination for our newly created award for dumb moves at Gettysburg, the “Sickles.” This nomination is for the fantastic job of almost completely burying the left flank marker of the 96th Pennsylvania Infantry Regiment. 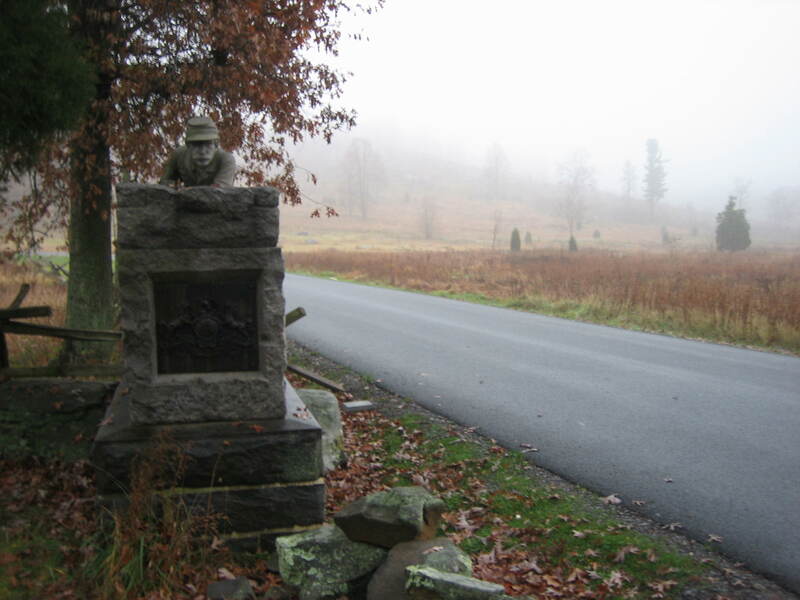 The more we think we know about the Gettysburg Battlefield, the more we find out we don’t know. If you were not happy with the burying of the flank markers on Reynolds Avenue, which we have featured more than a few times, visit the Wheatfield Road, near its intersection with Crawford Avenue and the John Weikert farm lane/driveway. The left flank marker to the 96th Pennsylvania Infantry Regiment is almost completely buried, either before or after the recent road work. Craig Swain (To the Sound of the Guns) informed us of the situation earlier this week. The 96th Pennsylvania is located on the north side of the Wheatfield Road near its intersection with Crawford Avenue. 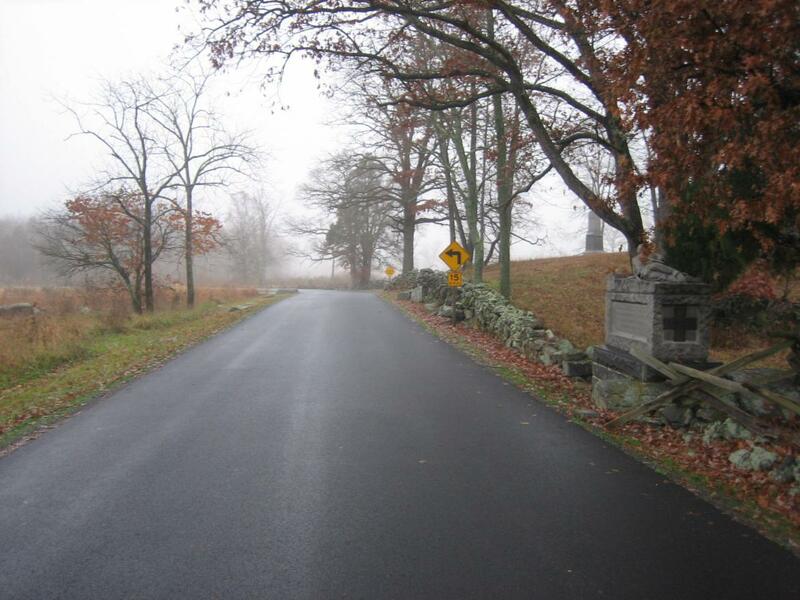 Little Round Top (partially obscured) and Big Round Top (completely obscured) are in the fog in the right background. 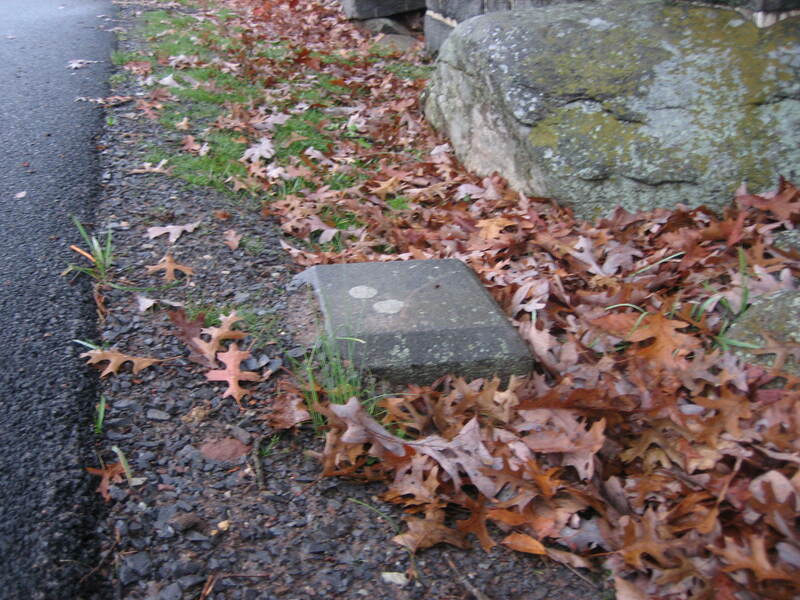 Some claim this marker has been buried for years for safety purposes. Really? We thought the National Park Service did not move flank markers. This view was taken facing southeast at approximately 4:30 PM on Friday, November 14, 2008. 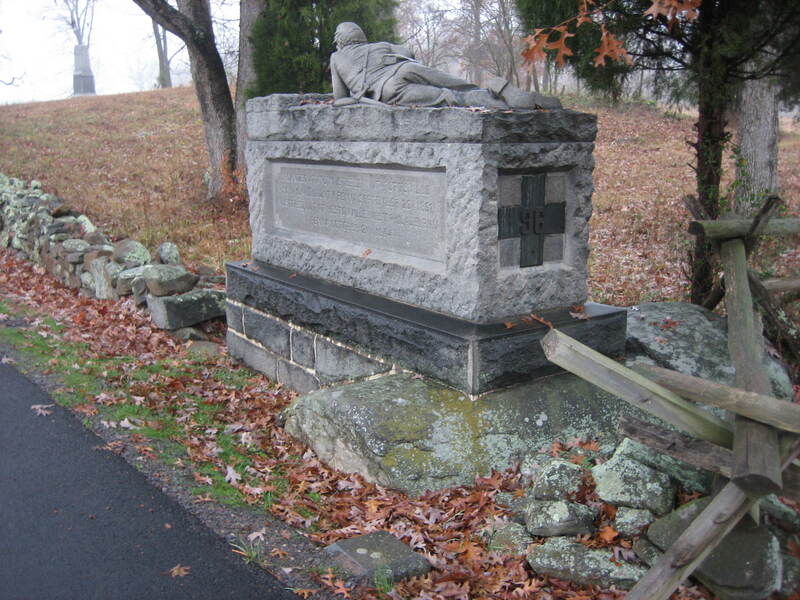 The 96th Pennsylvania was a Sixth Corps unit in Joseph Bartlett’s Brigade of Horatio Wright’s Division. It arrived late on the battlefield of July 2, 1863 and was lightly engaged, suffering one man wounded. View facing northwest at approximately 4:30 PM on Friday, November 14, 2008. During the Civil War, 1153 men were members of the 96th Pennsylvania Infantry. 132 were killed in battle. 297 were wounded. 64 were listed as captured or missing, and 12 of the captured died in Confederate prisons. 496 total casualties gave them losses of 43%. View facing east at approximately 4:30 PM on Friday, November 14, 2008. The National Park Service might have known about this incident for years. Or we’re sure that the contractor informed the National Park Service right away about this situation, just as the National Park Service claims that they did with the markers on Reynolds Avenue. However, their newly planted grass is growing near it, and autumn leaves have fallen all around it, so the message might have been lost somewhere along the way. View is facing northeast at approximately 4:30 PM on Friday, November 14, 2008. How many more markers are now buried at Gettysburg National Military Park? View facing northwest at approximately 4:30 PM on Friday, November 14, 2008. How will the National Park Service, which claims they won’t move flank markers (even though they have moved them before, see our post on the noon marker for the 95th New York, and have even taken them out of the ground completely and thrown them behind their maintenance area, see our post on the Patterson Tree Cutting and the left flank marker of Knap’s Pennsylvania Battery) handle this situation? View facing southeast at approximately 4:30 PM on Friday, November 14, 2008. This is the right flank marker for the 96th Pennsylvania. View facing northeast at approximately 4:30 PM on Friday, November 14, 2008. 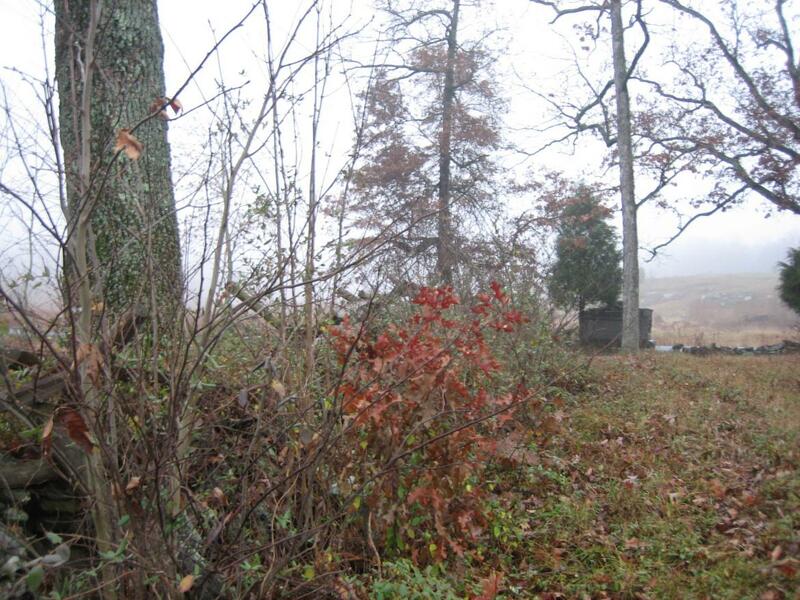 The right flank marker is located out of sight, in the bushes, along a stone wall by the large tree to the left of this picture. 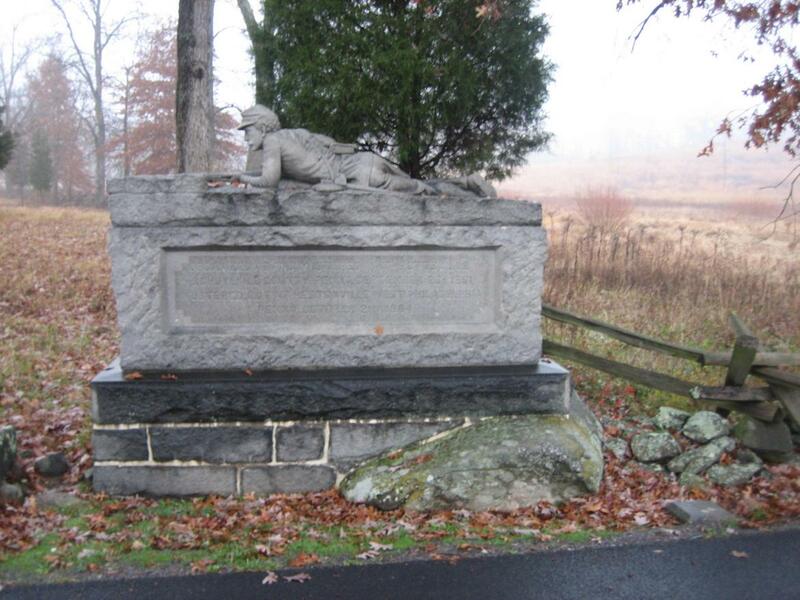 The 96th Pennsylvania monument is approximately 30 yards to the southwest underneath the green cedar tree. View is facing southwest at approximately 4:30 PM on Friday, November 14, 2008. Do we really need to go around the battlefield and carefully check the sides of all the roads to see what other markers are being buried? Maybe we can label those efforts a public-private partnership, like the park’s relationship with the Gettysburg Foundation. View from the north facing south at approximately 4:30 PM on Friday, November 14, 2008. 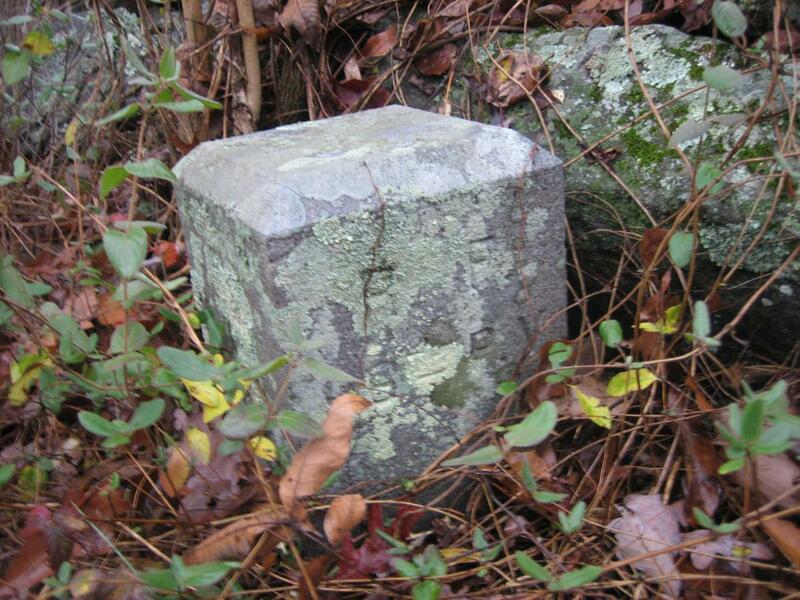 Whose job is it in the National Park Service to see what markers/monuments are buried/missing? The intersection of the Wheatfield Road and Crawford Avenue/John Weikert Driveway is near the second yellow road sign. View is facing northwest at approximately 4:30 PM on Friday, November 14, 2008. Please e-mail us with any other nominees for “The Sickles.” Nominations for this first award will be accepted for any actions from January 1, 2008 to July 1, 2009. Little Round Top is in the background. View facing southeast at approximately 4:30 PM on Friday, November 14, 2008. 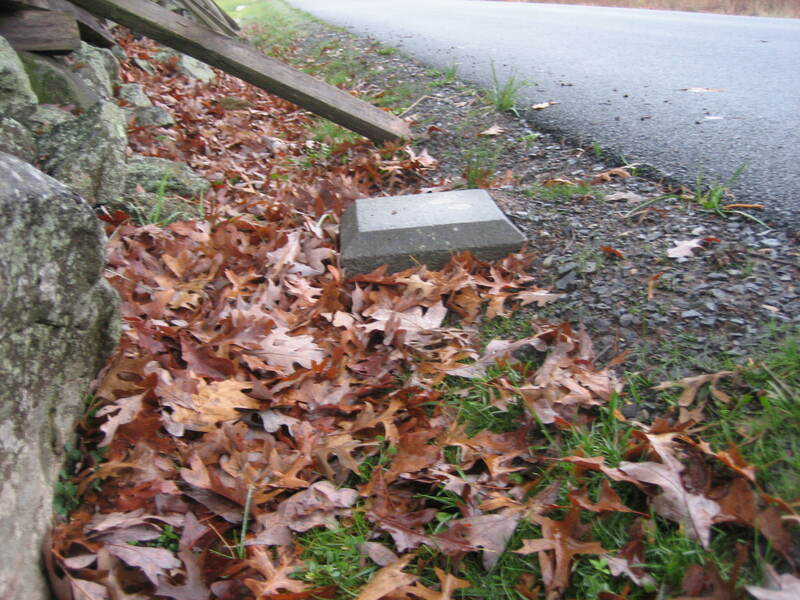 See our post on the Patterson Farm Tree Cutting and the left flank marker of Knap’s Pennsylvania Battery thrown in a pile behind the NPS Maintenance Buildings on November 9, 2008. 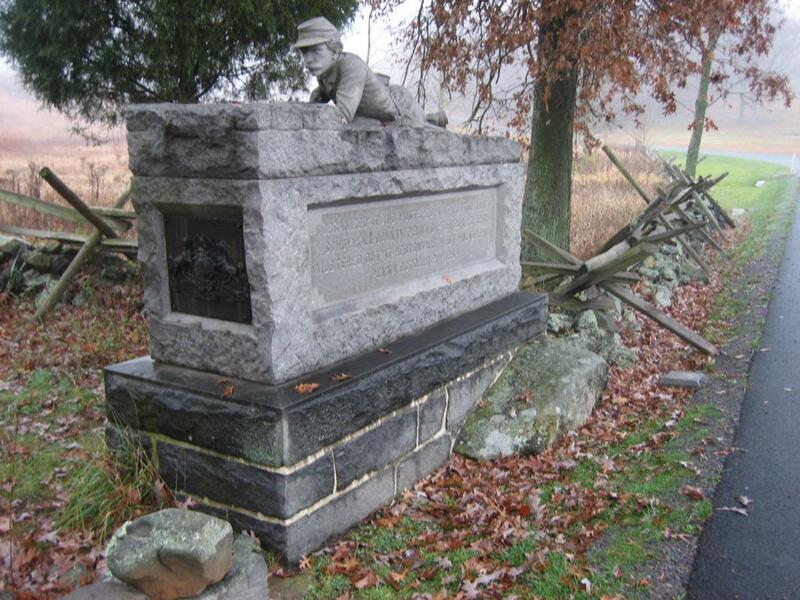 See our post on the National Park Service moving flank markers on October 23, 2008. See our post on the National Park Service decision not to move the Reynolds Avenue flank markers on October 22, 2008. See our post on “Do the Flank Markers on Reynolds Avenue Need to be Moved?” on October 16, 2008. See our post on the dirt and gravel returning to the flank markers on October 15, 2008. See our post on the dirt and gravel being removed from the flank markers on October 10, 2008. See our post on the dirt and gravel burying the markers on October 9, 2008. See our post on the Doubleday Avenue Roadwork on October 1, 2008. 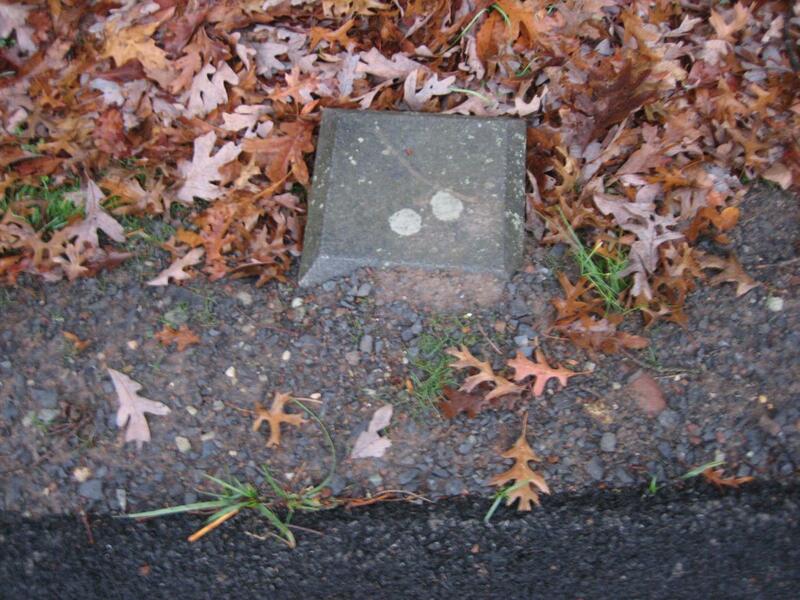 See our original post on asphalt touching the flank marker of the 147th New York on September 30, 2008. See our post on these contractors trying to cover up their mistake of having asphalt touch boulders in The Loop on September 22, 2008. 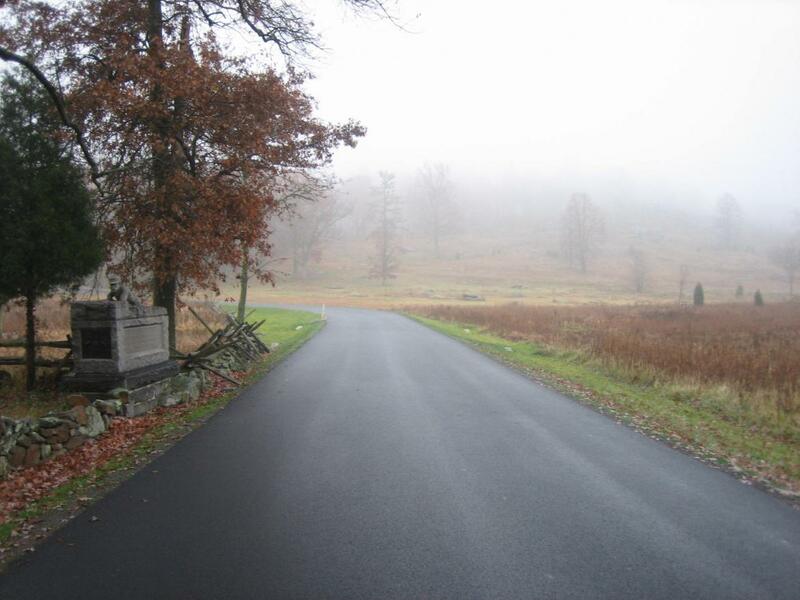 See our post on Slathering the Loop With Asphalt on September 13, 2008. See our post on Devil’s Den: Aftermath of the Construction on September 11, 2008.